Acro Yoga is primarily an artistic exploration of body movement, combining yoga with acrobatics. This specific form enhances body awareness, balance, strength & flexibility. It also encompasses trust building, communication & a sense of unity. All levels welcome. Beginner Friendly. No partner necessary. Members £12.50 per workshop or £20 for both. Aerial Cocoon Gong Meditation (sound bathing) while being suspended in soft fabric hammocks. With the help of gravity and the hammocks, we can playfully explore floating, fluid states and allow space in our bodies without compression of our joints and spine. The silky hammocks are a special high-density nylon that can hold over 2000 pounds each. You can be in them completely creating a womb like feeling or you can be upright in a supportive holding way. William Henderson and Isis Ventura Bermall lead a work an Acroyoga workshop. Acro yoga is primarily an artistic exploration of body movement, combining yoga with acrobatics. This specific form enhances body awareness, balance, strength and flexibility. It also encompasses trust building, communication and a sense of unity. Beginners welcome. Our mindfully losing weight programme starting end of January will help you lose weight without dieting. Each week we will focus an aspect of mindfulness and nutrition and how we can combine the two to create new pathways which will help transform the way you approach dieting and weight-loss. Beginning with a juicy heart opening vinyasa flow, Aurora will then breakdown traditional postures such as Urdhva Dhanurasana, Natarjasana, Dhanurasana and Ustrasana, showing specific drills and exercises to help access them safely and with ease. Once these foundations have been mastered you will then begin to look at more advanced variations, interesting transitions through postures such as Camel to Wheel pose, and Drop Backs. Create balance on and off your mat. Working through lower body stabilisation, mobility and balance as we move to create a more grounded and integrated practice. Balance your flexibility and strength by building control throughout our full range of motion. Flow through fiery vinyasa, we will use creative transitions and intuitive movement to explore your hamstrings and hips, opening your lower body from a foundation of strength. Discover true control and consciousness within the whole range of movement and connect with your body and mind in complete balance. Acroyoga is primarily an artistic exploration of body movement, combining yoga with acrobatics. This specific form enhances body awareness, balance, strength and flexibility. It also encompasses trust building, communication and a sense of unity. With the help of gravity and the hammocks, we can playfully explore floating, fluid states and allow space in our bodies without compression of our joints and spine. Join Edo Chiropractic student and ashtanga teacher for this 1.5hour workshop about the misconceptions and the safest ways to prepare and practice the half lotus or full lotus posture. Acroyoga is primarily an artistic exploration of body movement, combining yoga with acrobatics. This specific form enhances body awareness, balance, strength and flexibility. It also encompasses trust building, communication and a sense of unity. This workshop welcomes all levels and is beginner friendly. If you missed the last one Pip is running another Arm Balancing and inversion workshop 14th July! During this Masterclass we will breakdown the foundational alignment and key areas of focus to work into Handstands and Forearm Stand. 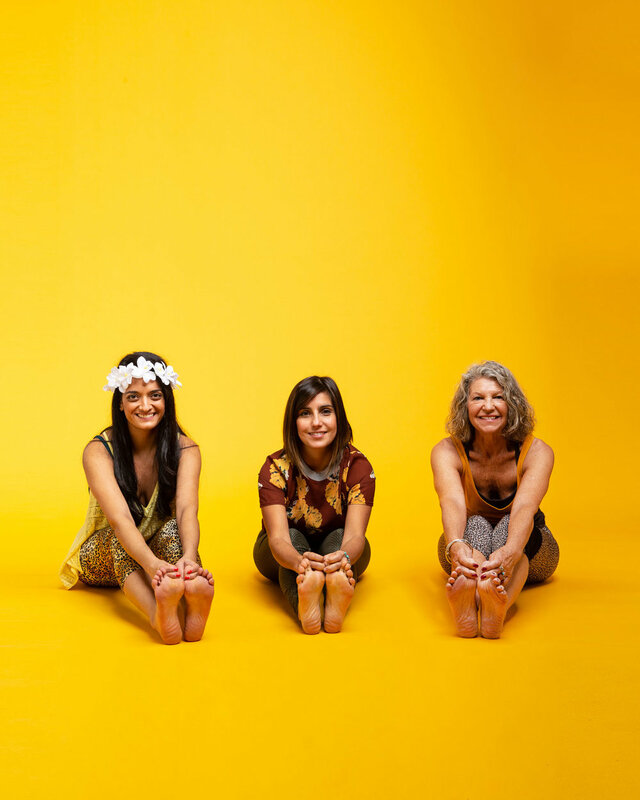 Fierce Grace Founder Michele Pernetta comes to Yoga Lounge! We are thrilled to announce Michele will join us on Saturday December 9th from 2pm with her infamous ‘secrets of yoga alignment workshop’ a 5pmFierce Grace class followed by a meet and greet in the Sukha Lounge with tea and cake. As Winter sets in and festive preparations are getting under way treat yourself to some 'me time' and discover how wonderful it can feel to let go and surrender into a slow Yin practice.